See in 2019 with London’s spectacular New Year’s Eve fireworks display at the Coca-Cola London Eye, an event famous around the world. Hear Big Ben’s famous “bongs” ring out at midnight on New Year’s Eve in London, followed by the UK’s largest annual fireworks display over the Coca-Cola London Eye, presented by the Mayor of London. The hugely popular London’s New Year’s Eve fireworks have been ticketed since 2014 to ensure the event stays safe and fun for all. London New Year’s Eve fireworks tickets 2018 are now on sale. Get yours early to ensure you don’t miss out! If you want to join in the celebrations on the night, you must have a ticket to attend. Make sure to follow @LDN_gov on the night for the latest updates and information. There are plenty of other things to do in London on New Year’s Eve 2018, including more ways to see the fireworks: watch the famous London display from the river on a NYE fireworks cruise, celebrate at one of the many New Year’s Eve club nights, or see the capital light up at midnight with a New Year’s Eve meal in a top London restaurant with a view. 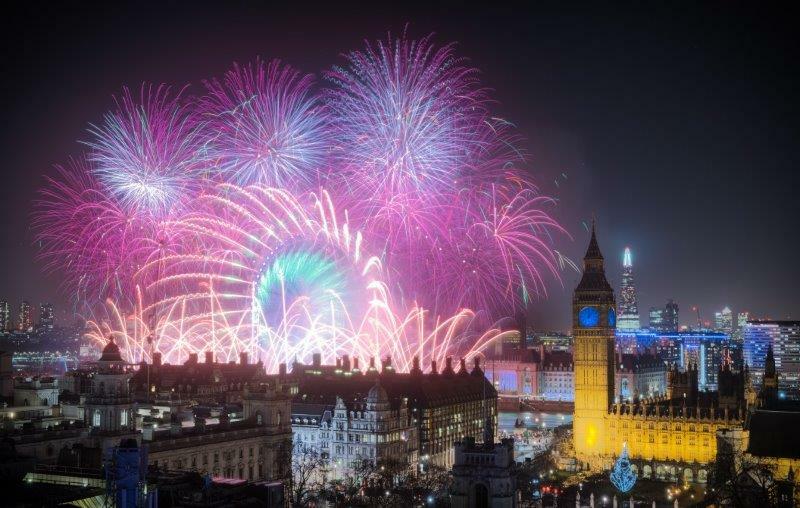 If you’re not attending the New Year’s Eve fireworks 2018 in London, you don’t have to miss out: you can see the spectacular display live on BBC One. See last year’s New Year’s fireworks display in the video below. New Cross Inn Hostel is approximately 15 minutes away by car. Check availability and pricing.